I’m Associate Professor in Human Rights at the Institute of the Americas, University College London, and visiting faculty member at the Paris School of International Affairs, at Sciences-Po. I have also been a Visiting Professor at the University of São Paulo, Brazil. I hold a DPhil in International Relations from Oxford University, I studied Latin American politics and development (MSc) at the Institute of Latin American Studies, University of London; and Philosophy and Economics (BA) at University College London. I am the academic coordinator of an International Network on the Inter-American Human Rights System funded by the Leverhulme Trust (2014-16), and the co-chair of the London Transitional Justice Network. Previously, I held academic positions at the Human Rights Consortium (University of London), Oxford Brookes University, School of Oriental and African Studies (SOAS), Warwick University, and at various Oxford colleges. I have worked with a range of human rights organizations and as a consultant for the Association for the Prevention of Torture and the Foreign and Commonwealth Office. Prior to entering academia, I worked at the United Nations Office of the High Commissioner for Human Rights (OHCHR) in Geneva. I have broad research interests in international relations, comparative politics, and human rights, with a geographical focus on Latin America. I have expertise in the Inter-American Human Rights System, transitional justice, civil society mobilization, strategic litigation, and torture prevention. 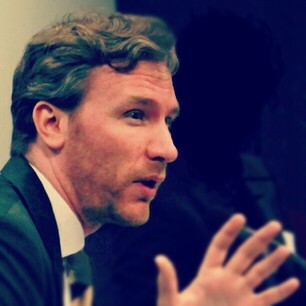 Further research interests include the relationship between human rights and democracy; judicialization of politics; the international relations of the Americas; human rights foreign policy; theories of international relations, particularly relating to international law and institutions; and interdisciplinary approaches to the study of human rights. To date, my country-specific research has focused primarily on Argentina, Brazil, and Chile. In addition, I am currently involved in human rights research related to Colombia and Mexico.